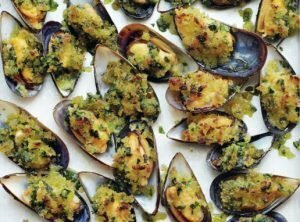 A rich, tasty way to serve mussels, this offers a great contrast of textures between the crunchy crumb crust and the juicy mussel flesh below. Serve with the subtle and surprisingly creamy hazelnut tarator sauce for a delicious treat. 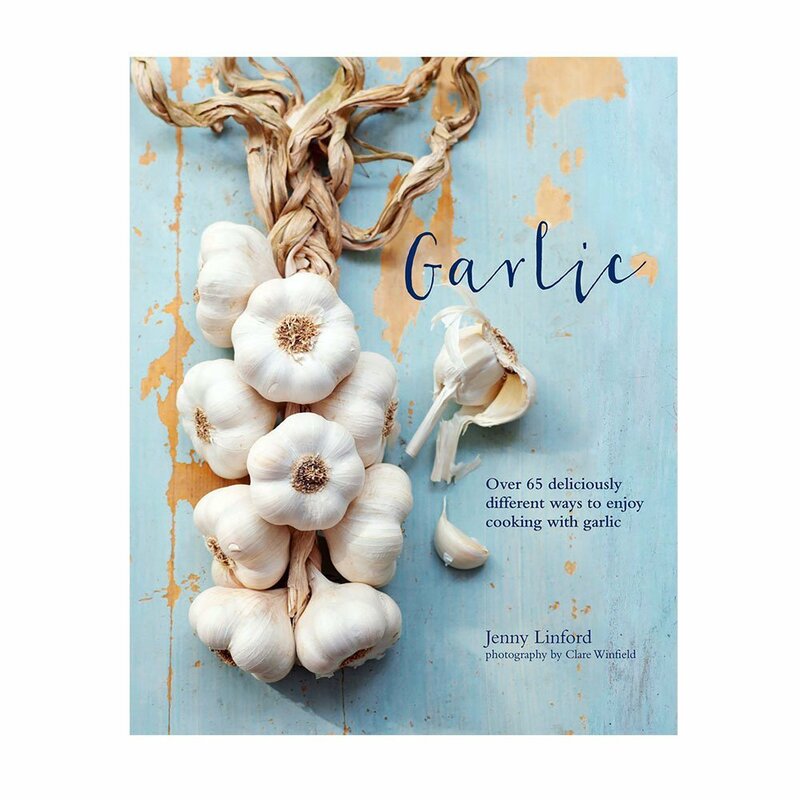 From Garlic: “More than 65 deliciously different ways to enjoy cooking with Garlic”. Serves 4 as an appetizer, 2 as a main course. 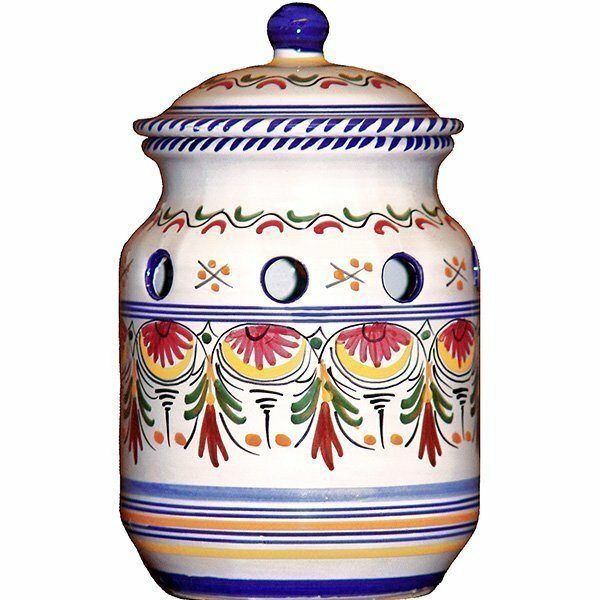 Rinse the mussels well under cold running water, discarding any which are open or cracked. Scrub well to remove any beards or grit. Put the cleaned mussels in a large pan, adding cold water to a depth of 2.5 cm/1 inch up the side of the pan. Set the pan over a medium heat, cover and cook the mussels for around 5 minutes, until they have steamed open. Drain the mussels, discarding any which have not opened during cooking. Next, make the hazelnut tarator sauce. Put the hazelnuts in a dry heavy-based frying pan/skillet set over a medium heat and toast, stirring often, until blotched and golden brown. Remove the pan from the heat and set aside. Cool, then finely grind the hazelnuts. Soak the bread in cold water for 10 minutes; drain and lightly squeeze to remove some of the water. In a food processor, blend together the ground hazelnuts, soaked bread, oil and vinegar into a smooth paste. Season with salt to taste and set aside. Once the mussels are cool enough to handle, pull one half of each shell off each mussel, leaving the mussel anchored in the remaining half. Place the mussels, shell side-down, on a baking sheet. Mix together the breadcrumbs, wild garlic and olive oil, seasoning with salt and freshly ground pepper. Spoon a little of the breadcrumb mixture over each mussel, so that it forms a topping. Preheat grill/broiler to it´s highest setting and cook the topped mussels for 2-3 minutes until the crumb topping turns golden brown. Serve at once with the hazelnut tarator sauce. 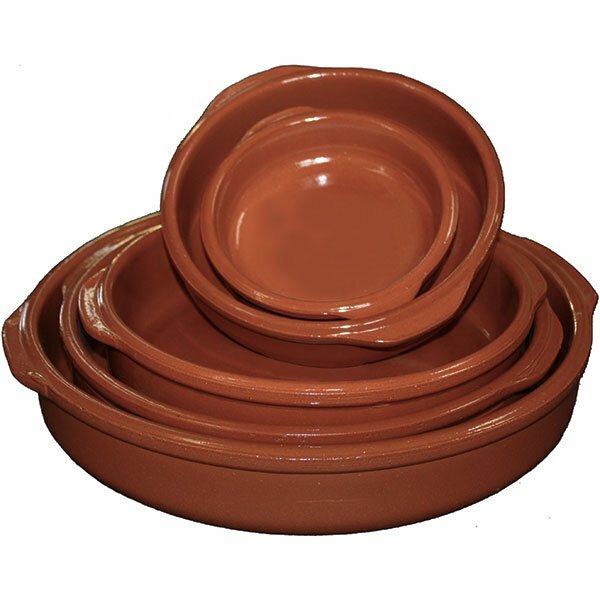 **From Spain suggestion: instead of placing the mussels on a baking sheet before putting them into the oven, place them in a 12 or 15 inch terracotta cazuela so that they can be served directly from oven to table and the presentation will be spectacular.